Do you struggle with reporting on key metrics such as customer churn, MRR, or subscriber lifecycle? Do you have a single pane that shows you how your business performed yesterday, last week, last month or even last year? Fusebill provides these and many more metrics and dashboards. 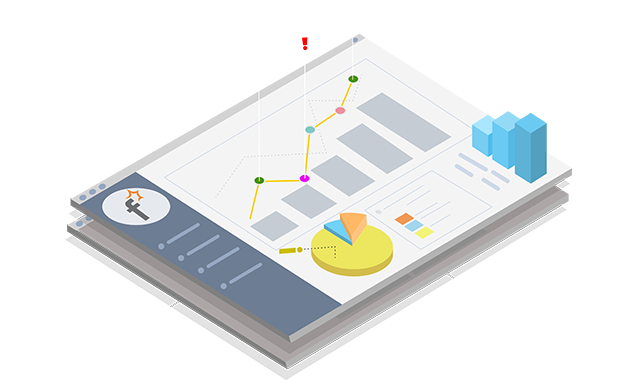 Fusebill's powerful reporting tools let you gain valuable insights into your customer base. With the ability to track Churn and Acquisition rates you can fine tune your service offerings to maximum subscription revenue growth. Customer reporting by status segments and aging receivables also assists your billing team to isolate and correct collection issues and increase cash generation. 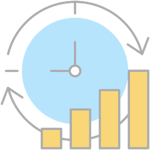 Tracking the lifecycles of activities in a recurring revenue business can frequently be a challenge. With Fusebill's Financial Calendar you can easily drill down to see all activities that occurred on any given day. In addition, by leveraging projected invoices, you can also predict future invoices and payments. This powerful reporting feature allows your billing clerks to take preventive steps to eliminate failed collections and maximize customer retention. Gaining valuable insights into which services are most popular within your customer base is an important consideration for any business. Detailed subscription breakdown reporting within the Fusebill platform allows you to see how different products and services are performing. With detailed csv downloads outlining recharge and expiry dates you can get the valuable data required to analyze your product catalog across many different business segments.